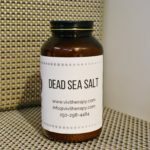 This bottle of Dead Sea Salt provides enough salt for 2 baths and 2 foot soaks. Perfect for a DIY spa night, and makes a great gift. 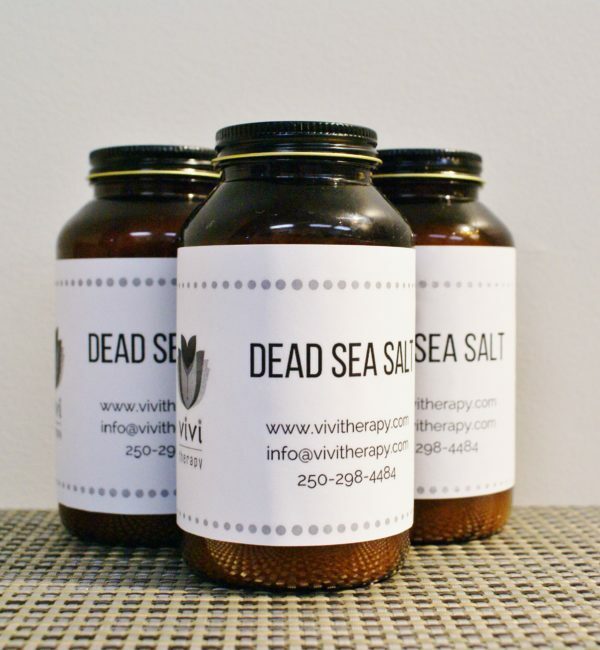 Try one of our essential oil blends to get the most out of your salt soak! 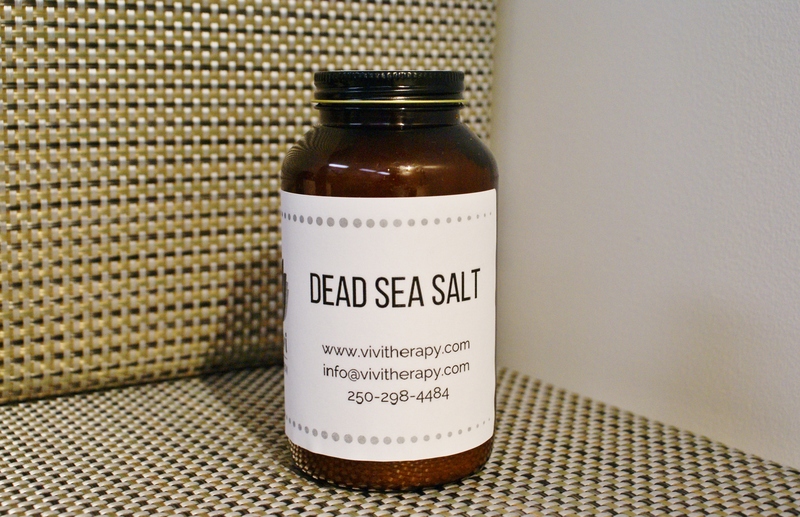 Dead Sea Salt has incredible therapeutic benefits that you can use in the bath or a foot soak. Add some to a warm bath to soothe your muscles and melt away stress. The balance of the salts in Dead Sea water are magnesium, potassium, calcium chloride and bromides. 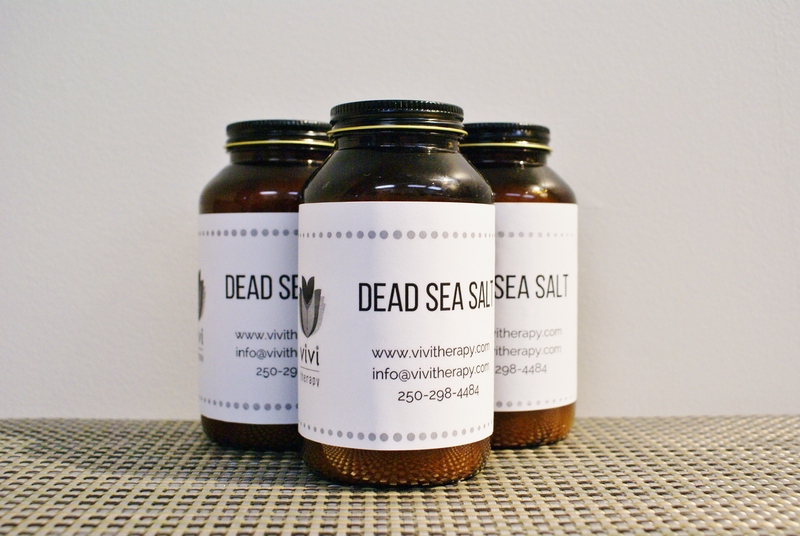 Directions: Add 1 cup of Dead Sea Salt to a warm bath. For a foot soak, add 1/4 cup. Stir gently, then soak for 20 minutes. Add one of our essential oil blends to make the experience even more luxurious. We’ve put together two blends for any mood. Try our Relaxation Blend for a nighttime bath and let the soothing scent whisk you away. Or, try our Refreshing Blend for an energizing foot soak, leaving you ready to take on the day. You can also browse our essential oils and create your own blend! At ViVi, we love reducing waste. Bring your empty salt bottle to us and we’ll refill it for you!